Think you don’t like cranberry sauce? Try this cranberry-fig sauce with hints of cinnamon, anise and ginger. It’s a far cry from the canned jelly on your childhood Thanksgiving table. 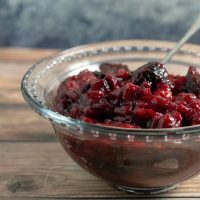 With Thanksgiving quickly approaching, how could I participate in #CranberryWeek without sharing a cranberry sauce recipe? I remember as a child, my mother would always buy a can of jellied cranberry sauce. Year after year, she would open the can and place it on the table, but year after year, nobody ever touched it. When I got a little older, I tried it, and thought I didn’t like cranberry sauce. But more recently, I tasted *good* cranberry sauce. And ever since, I consider it a staple of Thanksgiving meals. 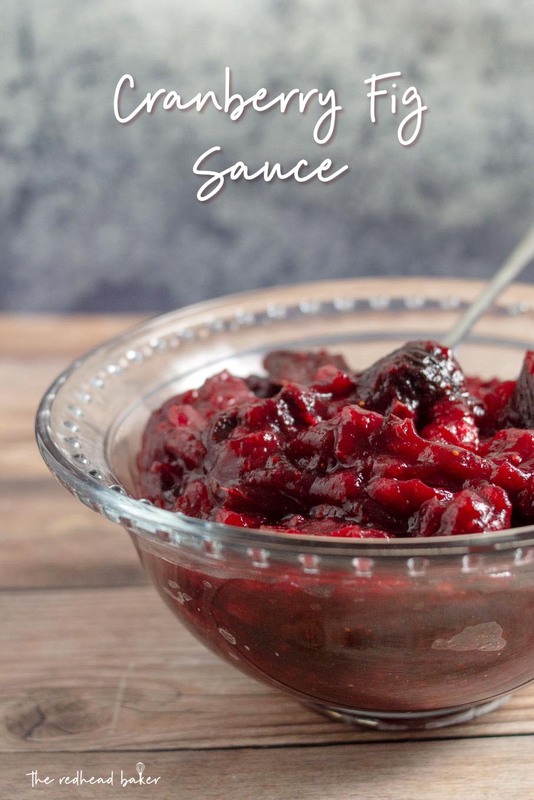 Most cranberry sauces are very hands-off recipes, so they are very easy to make. As with most of the other dishes I make for Thanksgiving, I experiment from year to year. There are so many fantastic recipes out there; I don’t want to eat the same thing year after year. This cranberry sauce, originally shared on The Kitchn as part of a California-inspired Thanksgiving menu, has subtle hints of cinnamon, star anise and ginger. The original recipe called for two whole star anise, but as I’m not a big fan of anise’s licorice flavor, I cut it down to one so that it didn’t overpower the sauce. This recipe can be made up to a week ahead of time, and stored in an airtight container in the refrigerator. As with most recipes that are infused with whole herbs or spices, they’re ideal when made ahead of time, because then they flavors have time to develop and meld together while it chills in the refrigerator. As the cinnamon, star anise, and ginger don’t affect the consistency of the cranberry sauce, feel free to play with the amounts to suit your flavor preferences. If you prefer the spices to have a stronger flavor presence, leave the whole spices in the cranberry sauce while it’s stored in the fridge, and don’t fish them out until just before you serve the sauce. Think you don't like cranberry sauce? 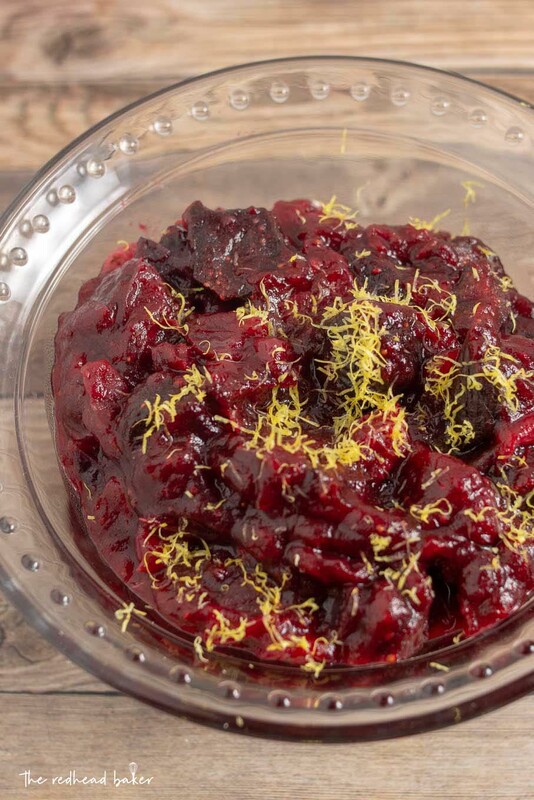 Try this cranberry-fig sauce with hints of cinnamon, anise and ginger. It's a far cry from the canned jelly on your childhood Thanksgiving table. Bring the whiskey, water, brown sugar, and vinegar to a boil in a 2-quart saucepan. Add the cinnamon, star anise, ginger, dried figs, and cranberries. Reduce heat to low and cover; simmer for 10 to 15 minute or until berries burst and the sauce thickens slightly. If most berries have not burst after 15 minutes, simmer another 5 minutes uncovered. Cool for 15 minutes then remove the cinnamon sticks, star anise and ginger; discard. 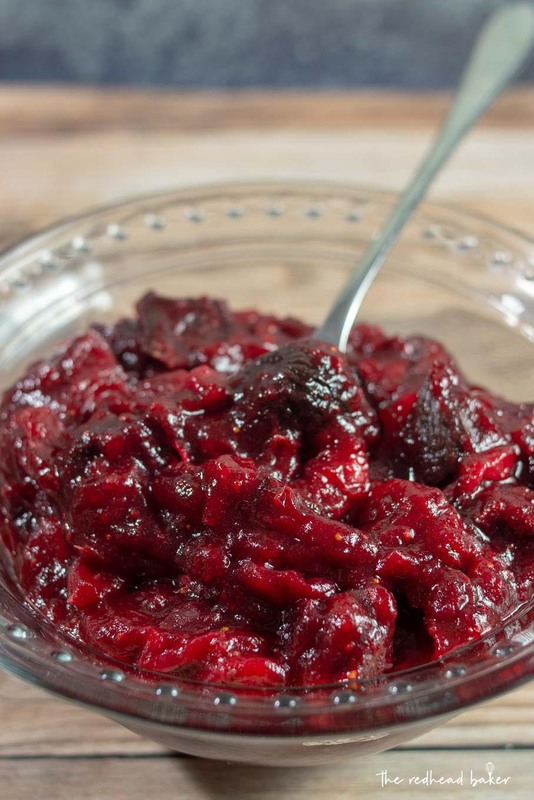 Transfer the cranberry-fig sauce to a sealed container and refrigerate for up to 1 week. Love the idea of figs in there as well, and bourbon of course no doubt adds a great flavor. Ok, this is definitely going on my holiday table. I have made the same cranberry sauce for years and am ready for a change. I don’t like the idea of throwing away the cinnamon, star anise or ginger after using it here. Any other uses for them afterwards?